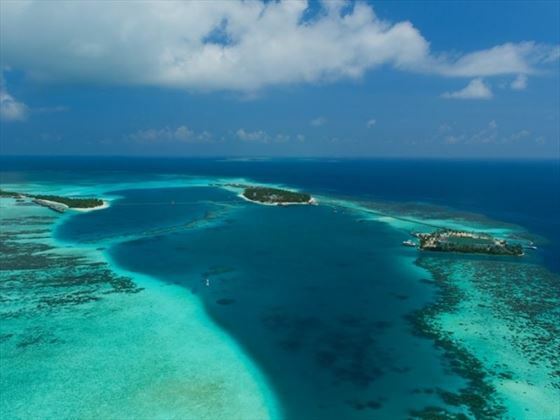 Sprawling across two islands and reachable by seaplane, Conrad Maldives Rangali Island is the perfect combination of tranquillity, seclusion and indulgence. 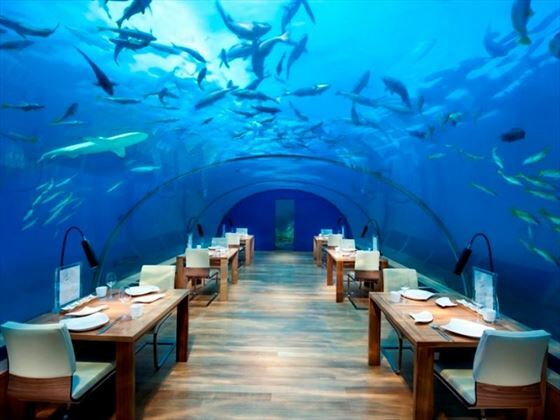 Boasting phenomenal facilities, including an underwater restaurant, this is a true example of Maldivian luxury. 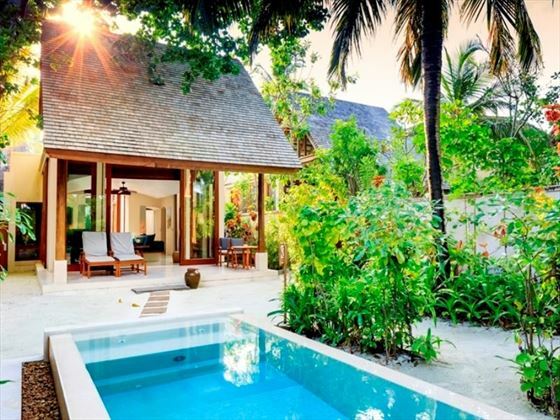 Further reading: Conrad Maldives Rangali Island is featured in our guide to the top 10 luxury hotels in the Maldives and the top 10 spa hotels in the Indian Ocean. 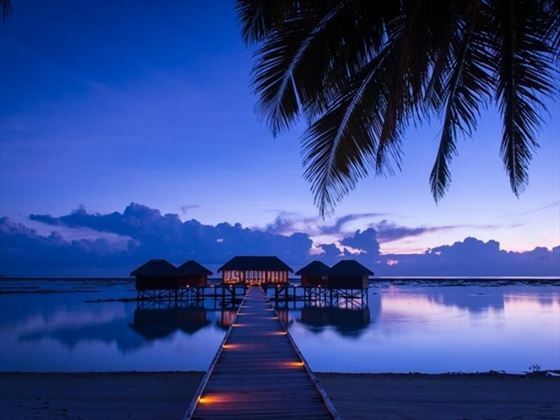 The resort is spread across two islands, connected by a bridge. 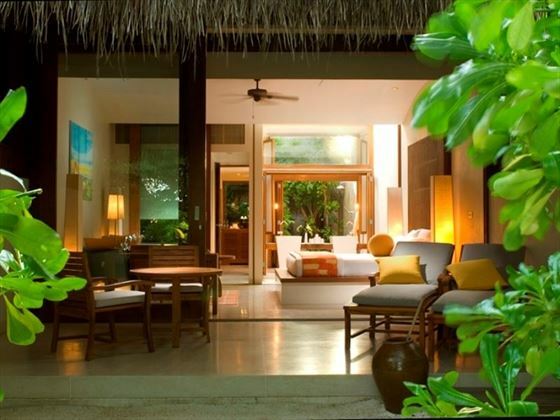 The resort comprises a range of villages with great facilities and stunning views. 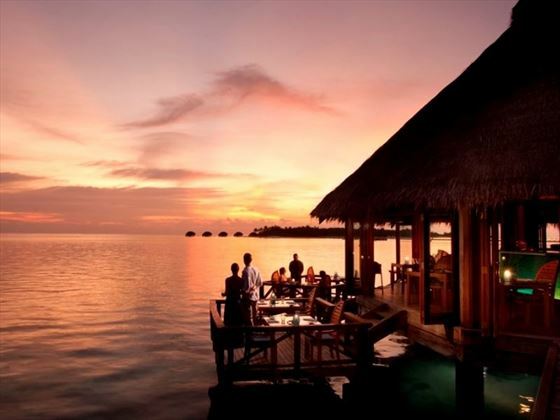 Water Villas – Feature ocean view baths and private sundecks featuring a plunge pool. 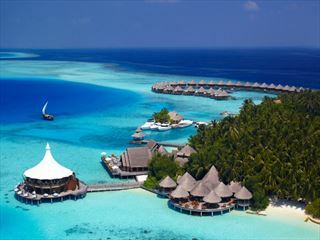 Deluxe Water Villas – Feature a Jacuzzi on the sundeck and DVD player with surround sound system. 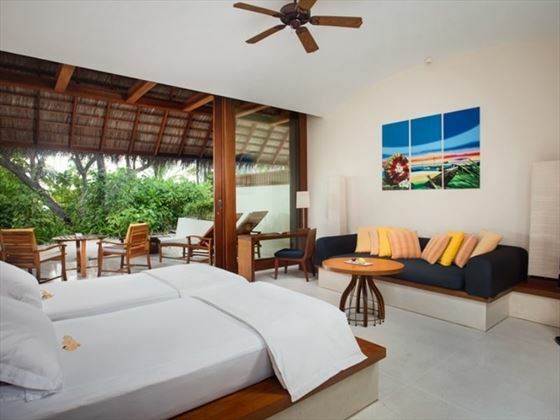 Superior Water Villas – Feature a Jacuzzi in the bathroom, additional Jacuzzi on the sundeck and a DVD player with surround sound. 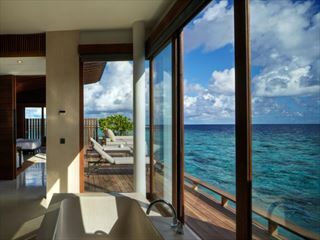 Premier Water Villas – Feature a second Jacuzzi in the bathroom with built-in satellite TV and an infinity view pool on the deck. 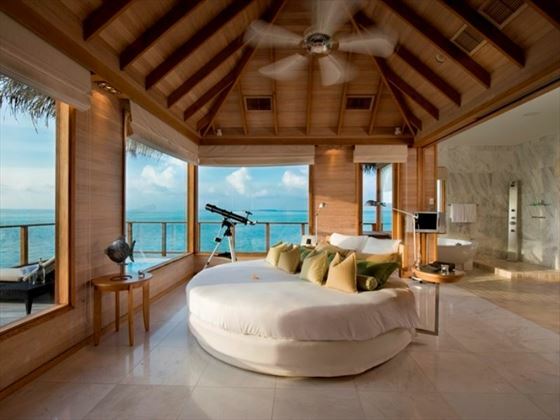 Premier Water Suite – Two-bedroom suite set on the water with amazing views. 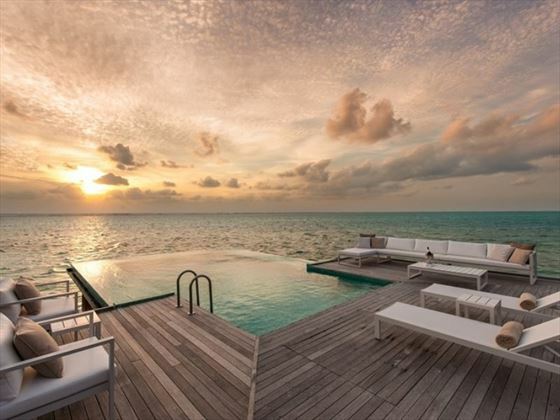 Sunset Water Suites – Situated in their own lagoon with a glass-floored living room, circular rotating bed and private infinity pool. 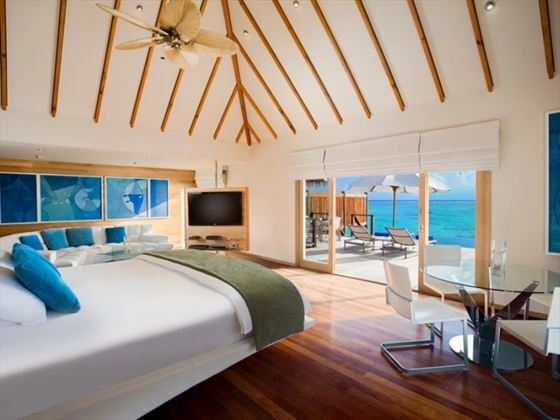 Guests staying at the Beach Suites, Deluxe, Premier and Sunset Water Villas also enjoy the services of a private Island host. The resort features the following restaurants and four bars. 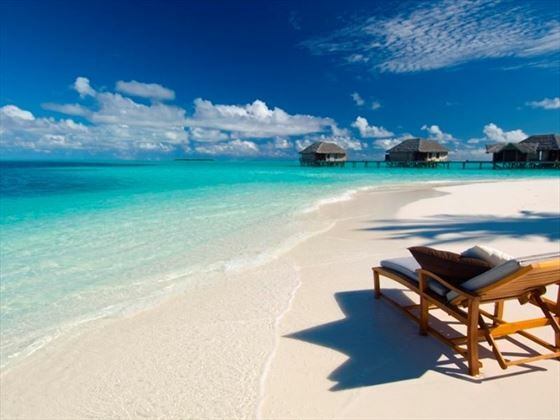 Shangri-La’s Villingili Resort and Spa is the first luxury resort in the Maldives to be located south of the equator. 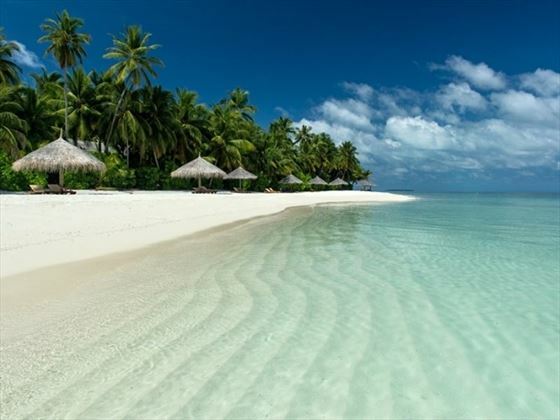 The resort is a 70-minute flight from Malé and an eight-minute boat ride from Gan Airport on Addu Atoll.